Valentine’s Day is a great time for nonprofits to ask supporters to show them some love. These four organizations made Valentine’s Day special for their donors. Their campaigns perfectly capture the spirit of this most romantic holiday. Get ready for a dose of the warm and fuzzies! What says love better than getting a visit from a puppy? Last year, one of our customers, Brother Wolf Animal Rescue, made it possible to send your sweetheart a puppygram. For a donation, your loved ones got a puppy brought to their home or office on Valentine’s Day. Not only do they get quality cuddle time with an adoptable puppy, the gift benefits adoptable animals in Brother Wolf Animal Rescue’s care! Want to see the results of last year’s puppygrams? Here’s a link to their post-puppygram Facebook photo gallery. Okay, one thing says love better than a puppy: Lots of puppies! Another customer, the Human Society of the Pikes Peak Region, made cuddle time with puppies an event rather than a brief, but satisfying moment with a single puppy. Four years ago, they set up a puppy kissing booth. Donors could take their loved ones to the kissing booth for a bunch of puppy cuddles! Their adoptable puppies were eager to give kisses to one and all. Of course, this event not only made for wonderful Valentine’s Day dates, it supported many animals up for adoption at their rescue! The best part, though? The Facebook photo gallery showing off all those sweet puppy kisses! Puppies not your thing? (Blasphemy!) This nonprofit makes giving flowers even better! The Just Heart Foundation, a customer providing grants to families with hospitalized children, partnered with a florist for Valentine’s Day this year. Now, you can send your significant other a bouquet of fresh flowers with the bonus of helping families facing the stress of medical bills. 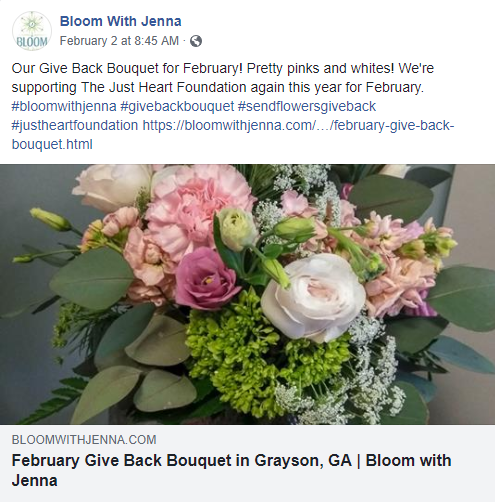 By teaming up with Bloom With Jenna, a Snellville, Georgia florist, the Just Heart Foundation will receive a portion of the cost of every Give Back Bouquet order made in February. Your gift of flowers becomes a gift to families in need. The Just Heart Foundation picked a great partner who is willing to promote their cause on their business’s Facebook page. Take a look at the love Bloom With Jenna shows the Just Heart Foundation and those they serve. Prefer sweets to sweet-smelling flowers? This nonprofit’s online shop has your sweetheart’s perfect Valentine’s Day treat! Second Harvest Food Bank of Central Florida is a customer helping feed individuals and families across multiple counties in Central Florida. Through a network of Partner Agencies, Second Harvest Food Bank of Central Florida provides nourishing foods to individuals and families and empowers economically disadvantaged adults with a culinary training program! This training program prepares its participants for rewarding careers in the food industry. Several graduates have gone on to work in high profile restaurants (one is even employed at a Disney resort hotel)! This Valentine’s Day, Second Harvest is selling Valentine’s Day cookie kits so you and your significant other can enjoy sweet treats together in celebration of the month of love. The best part? Each purchase helps feed people in need! 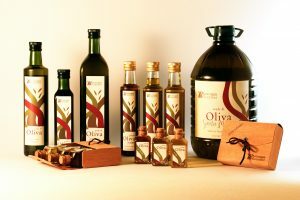 They say that the quickest way to a man’s heart is through his stomach, and the unique gift baskets available through Second Harvest’s A Spoon Full of Hope product line are guaranteed to make this Valentine’s Day wonderful for you and your sweetheart. 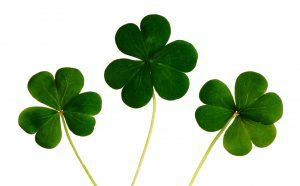 Show your taste buds some love this Valentine’s Day and visit their shop! 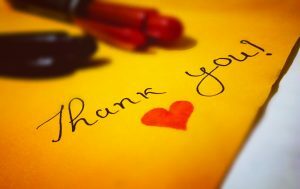 No matter what says love to you, nothing makes us feel the warm and fuzzies better than knowing we’ve done something great for others. We hope you’re feeling the love this Valentine’s Week and will show love and kindness to others by helping out a favorite nonprofit this February!